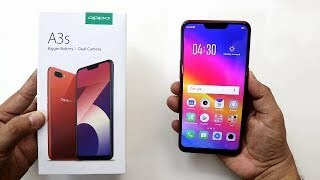 OPPO A3s is speculated to the rebranded version of OPPO A5 but it is not yet clear that what is the true story behind the curtain but for now it is most important that this new phone named as OPPO’s A3s is going to get launched with flagship phone OPPO Find X in Pakistan just after One day from now. As far as the specifications of this smartphone are concerned OPPO A3s’s display is consist of the massive 6.2-inch display which supports full Vision display and Notch is also present on the top which is quite a trendy feature in nowadays smartphones and OPPO armed A3s with the Notch too following the prevailing trend of the market. Qualcomm SDM450 Snapdragon 450 is going to carry octa-core processor of A3s which has the amazing clock speed of 1.8 GHz. Adreno 506 is also tagged along with the processor which has the job to enhance the graphics of the new A3s while running different games and apps.s.